We are professional arborists that understand the proper care and maintenance of trees. We can help with hazardous limb and tree removal, pruning and vista clearing, as well as backyard structures and home site planning. An arborist is more than a professional tree climber. We have a true passion for what we do. Carolina Tree Monkeys replant trees for those removed, and support anti-deforestation efforts. 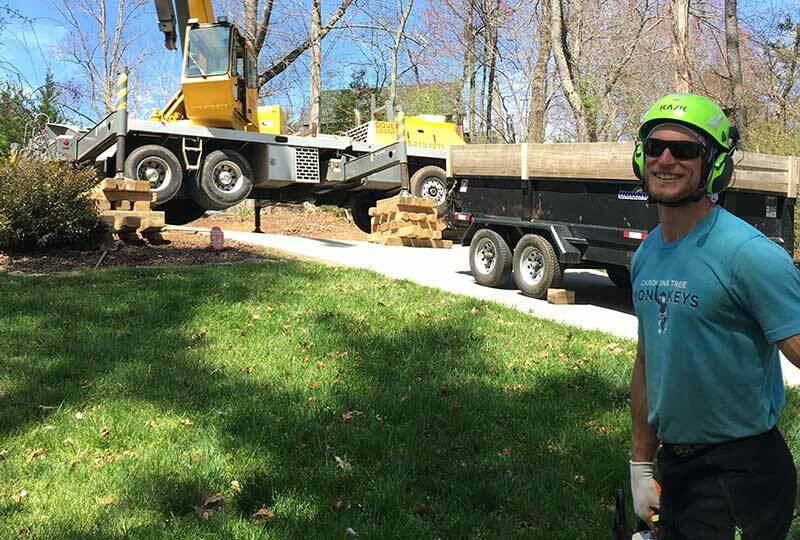 Our services include: tree removal, pruning, vista maintenance, brush clearing, and tree house construction.